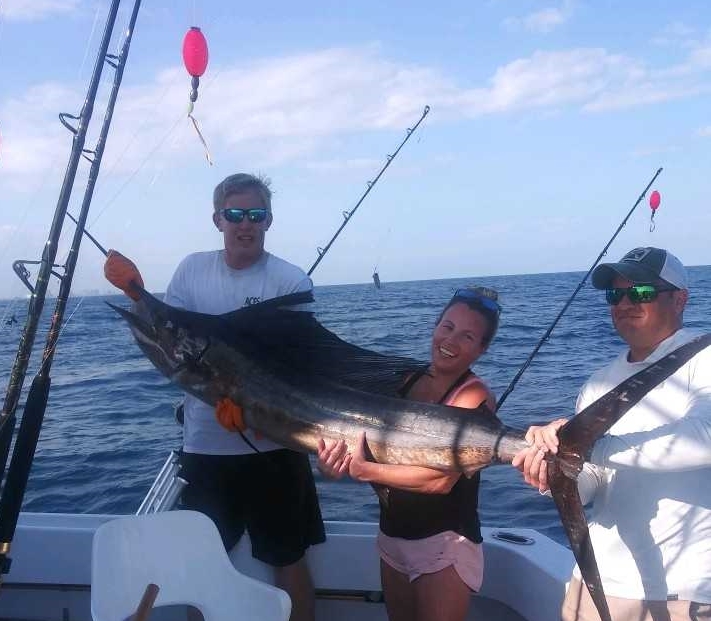 Catch Sailfish, Marlin, Wahoo, Dolphin, Swordfish & More! 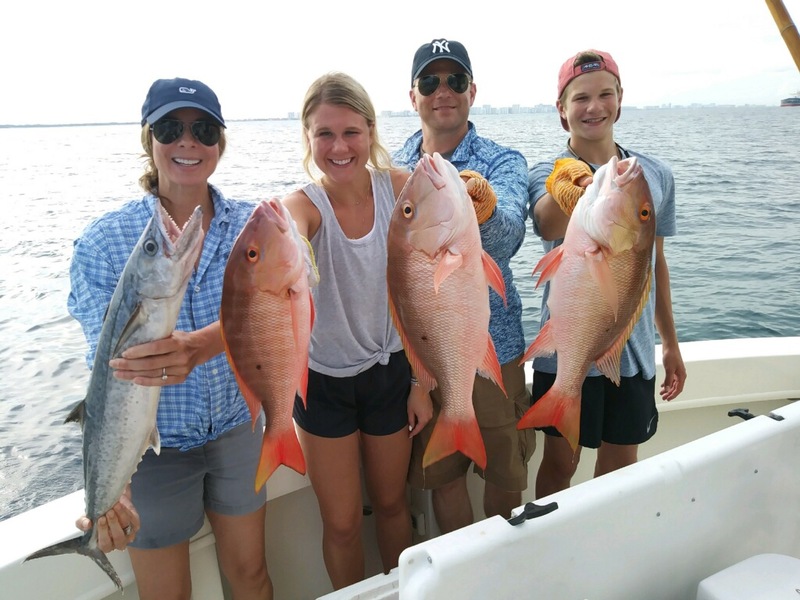 Family Fun aboard Marlin My Darlin'! 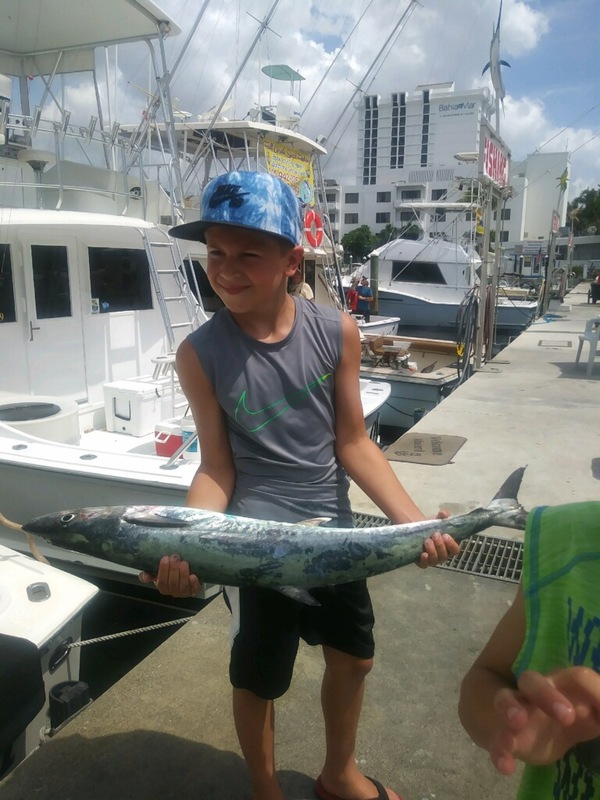 We provide you with an immaculate air conditioned boat, professional service, Fort Lauderdale fishing’s most courteous & qualified crew, and Florida fishing licenses included. 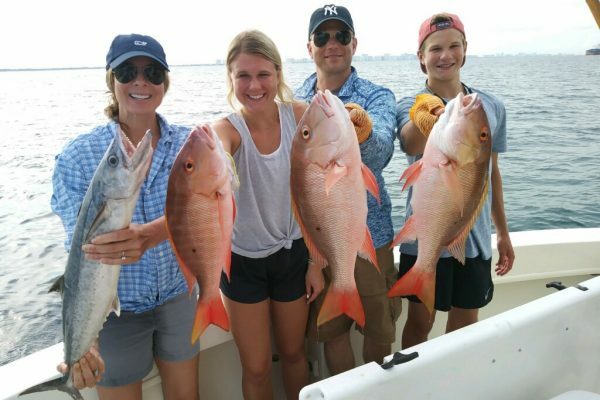 Superior food and beverages upon request – everything needed to make your Fort Lauderdale deep sea fishing trip memorable. 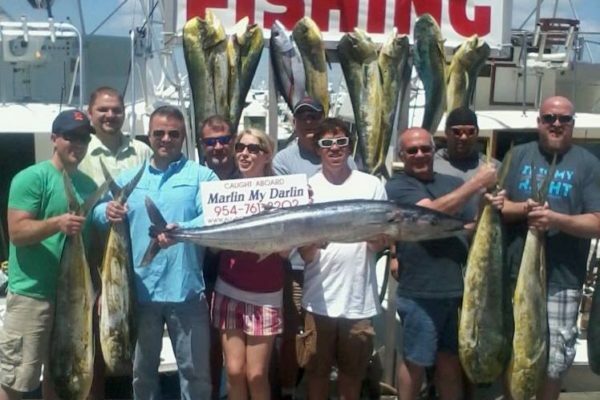 We have over 70 years combined fishing experience in the waters off south Florida. 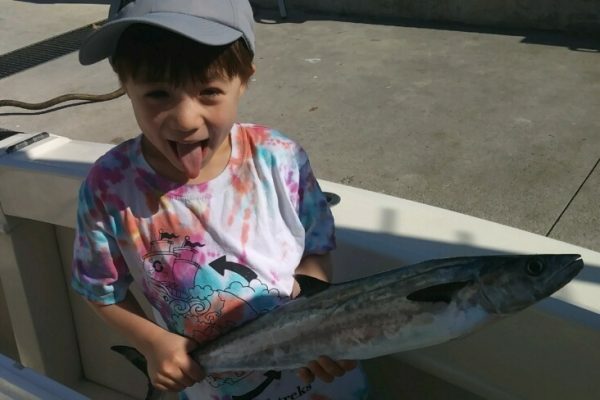 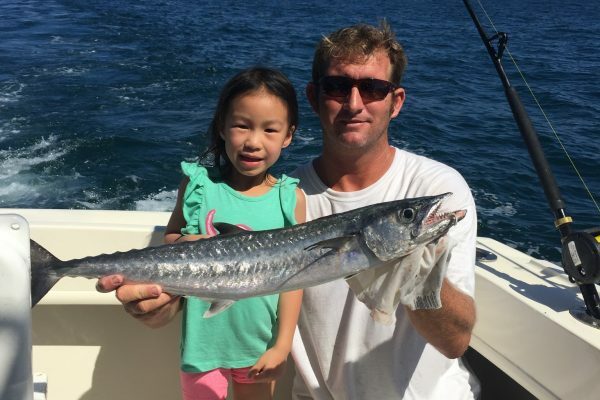 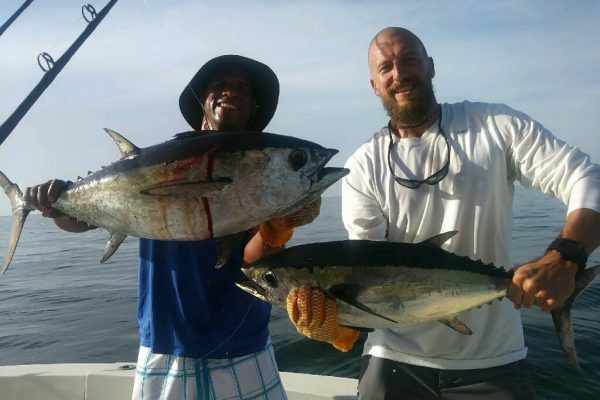 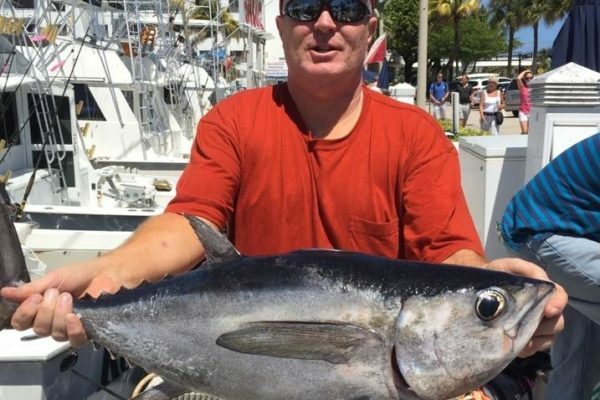 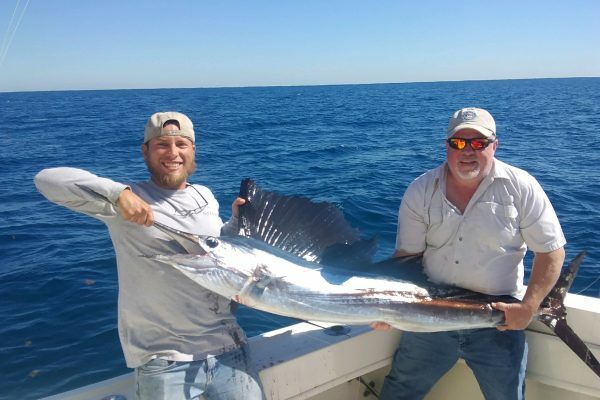 We like to share our species-specific articles and techniques with you for catching King Mackerel, Tilefish, Amberjack, Wahoo, Swordfish, Shark, Sailfish and more. 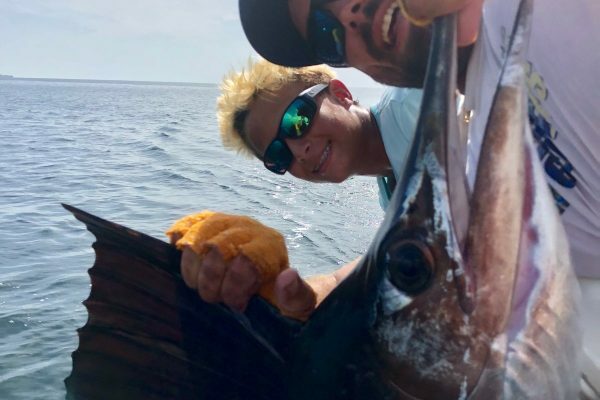 Check out our fishing photo gallery to see how we entertain anglers of any and all experience levels. 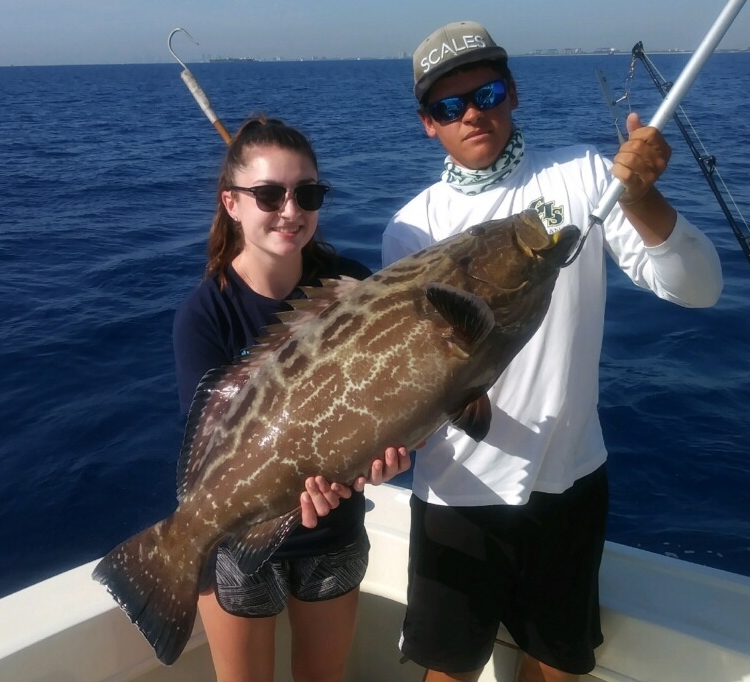 We pursue every species of fish native to Ft. Lauderdale and the surrounding areas on typical fishing charters. 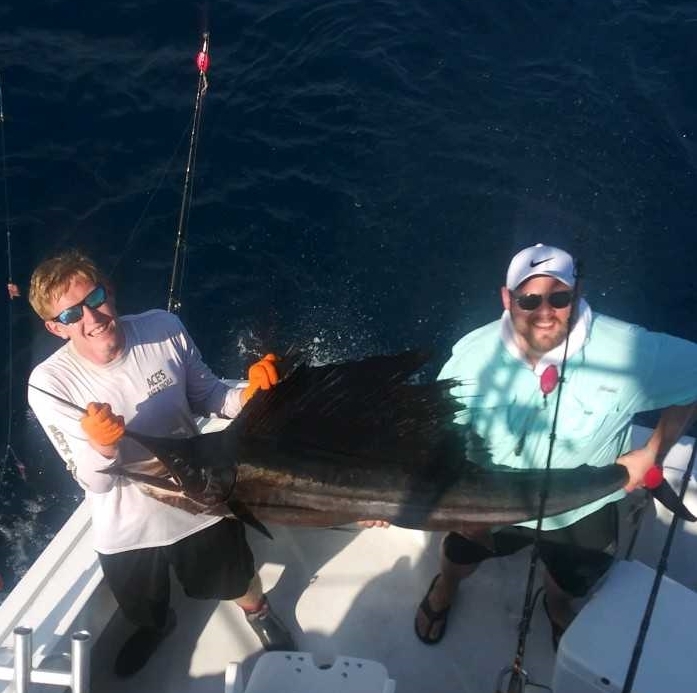 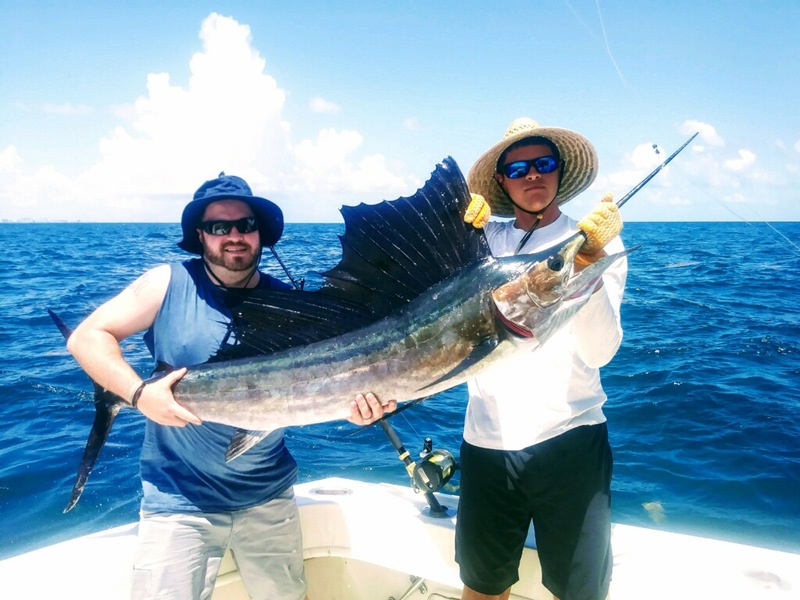 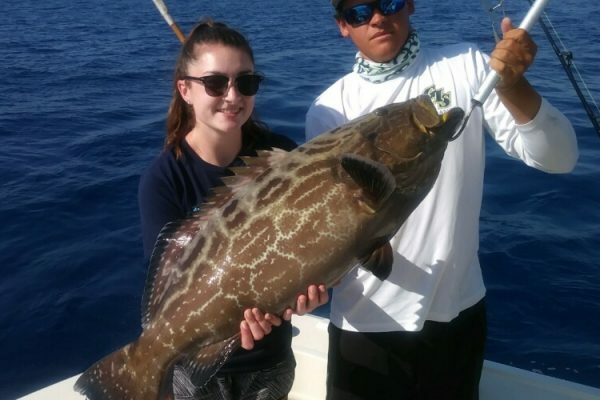 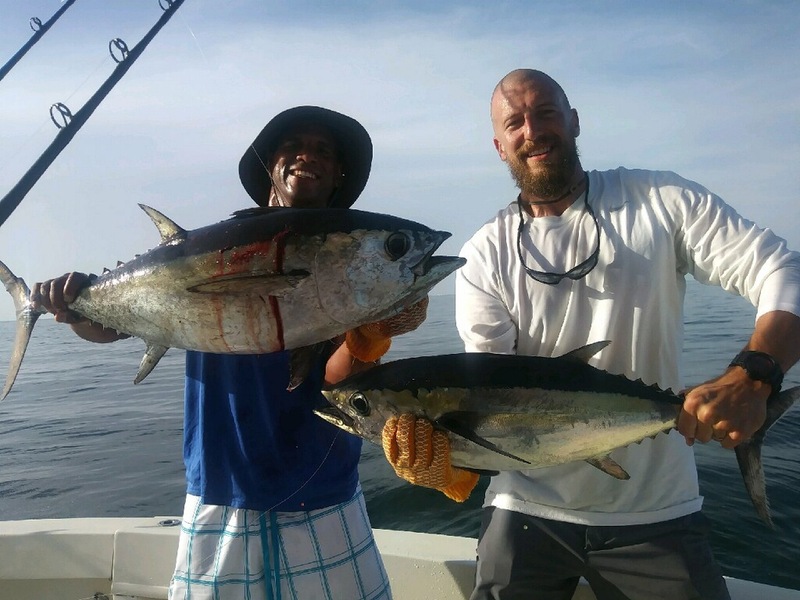 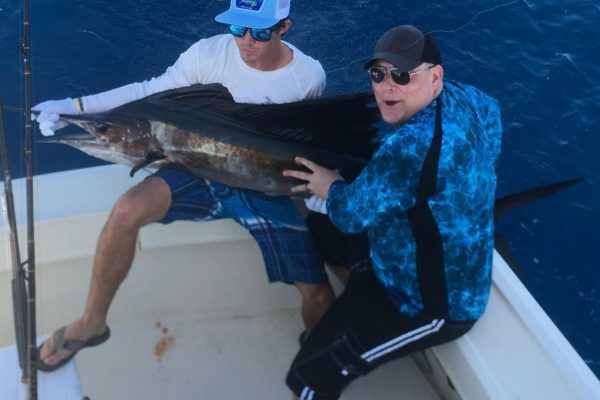 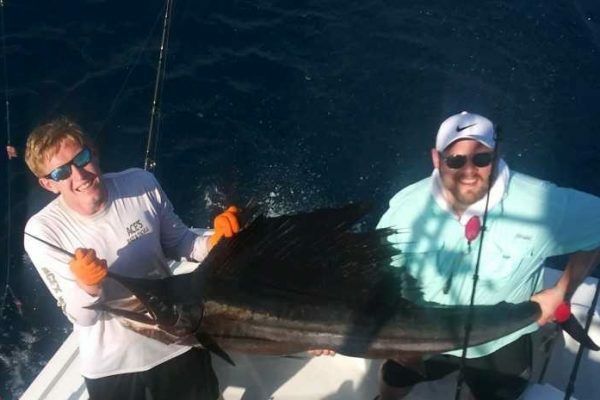 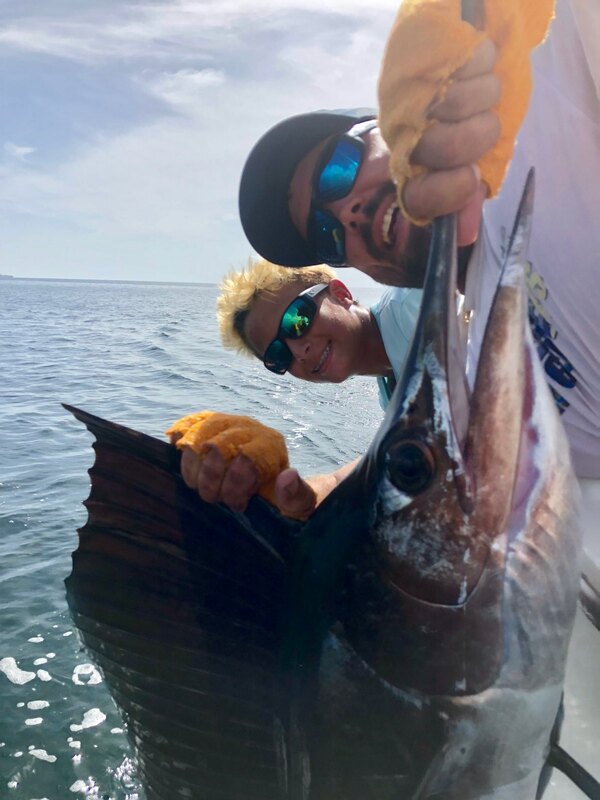 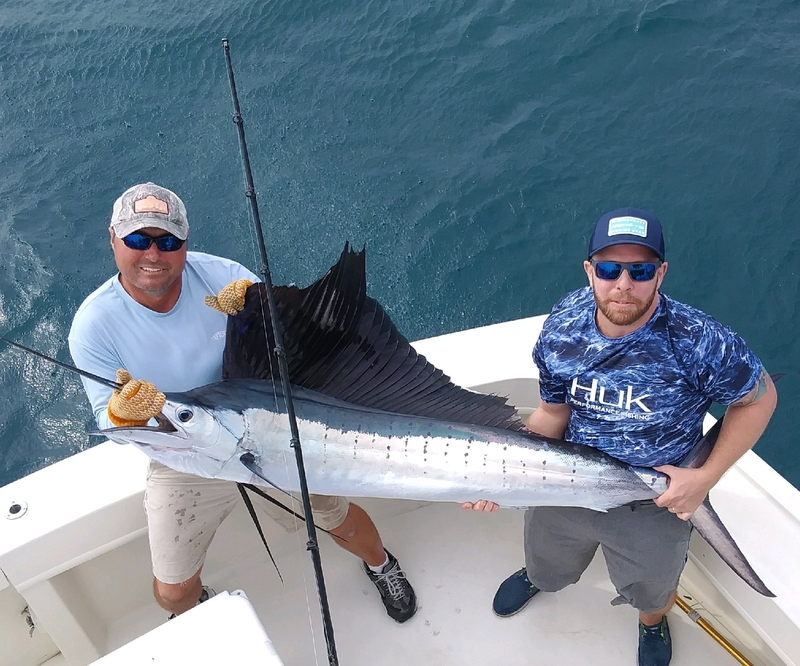 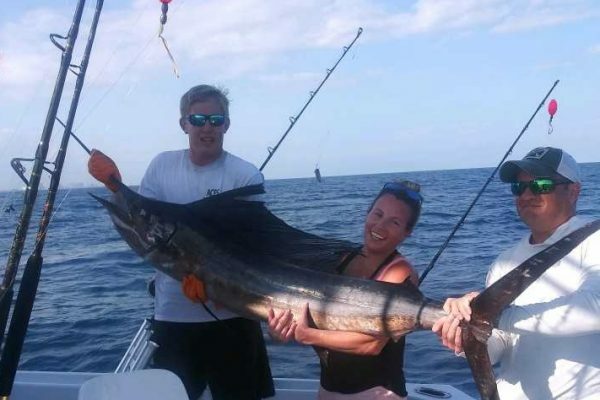 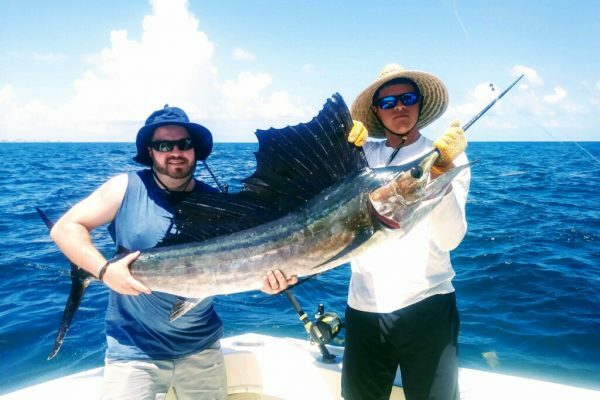 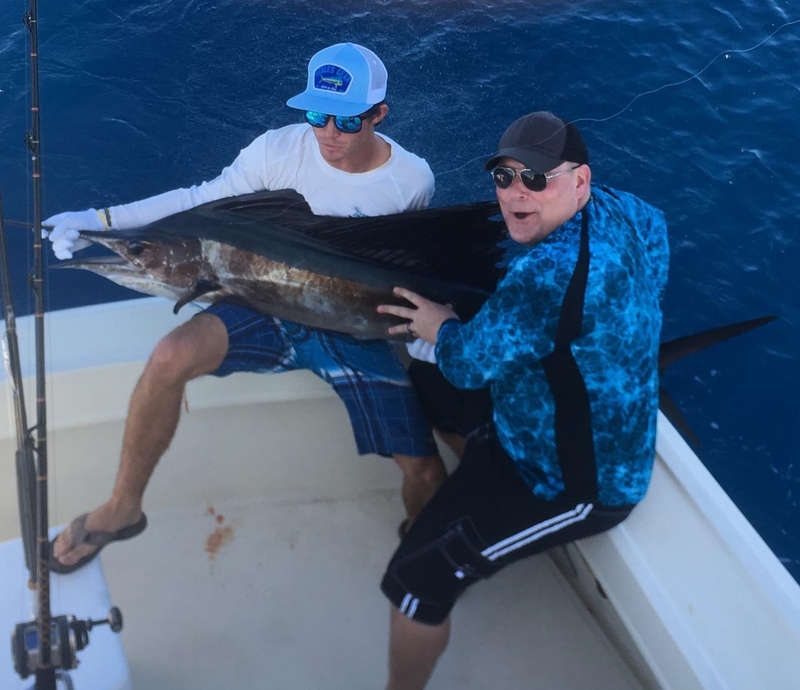 We also offer specialty day or night Fort Lauderdale fishing trips for Swordfish and adventure fishing trips to the Bahamas, Bimini, Florida Keys, Nassau and Walker’s Cay. 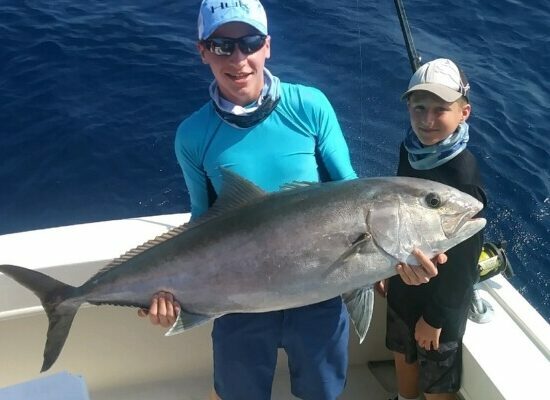 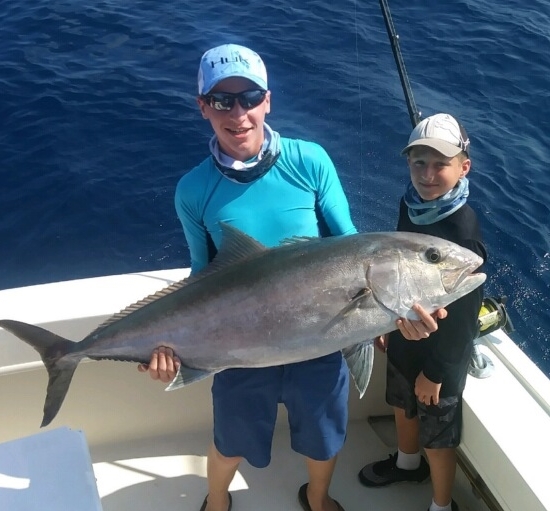 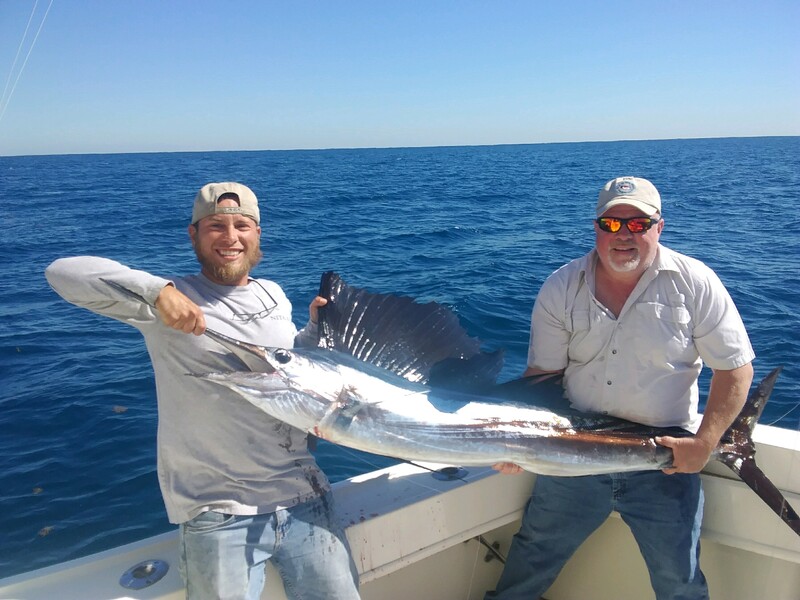 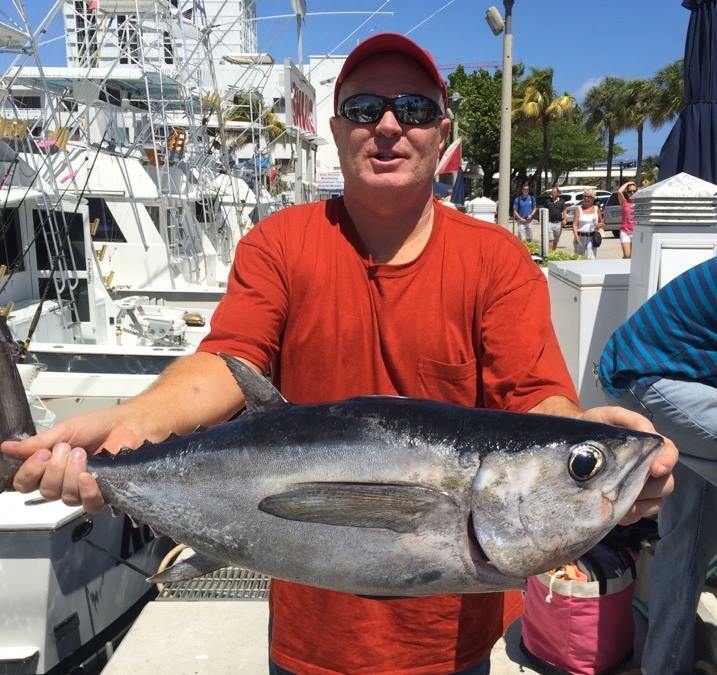 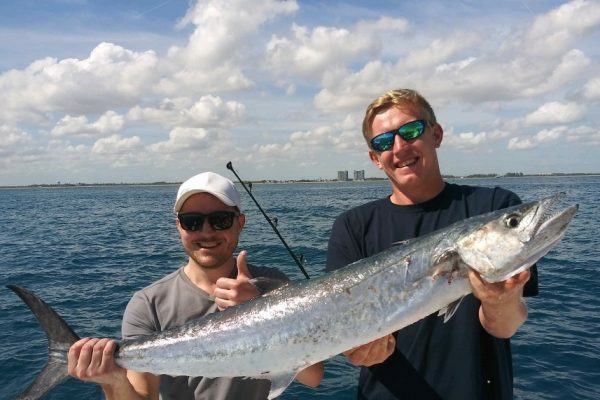 Check our Ft. Lauderdale fishing reports! 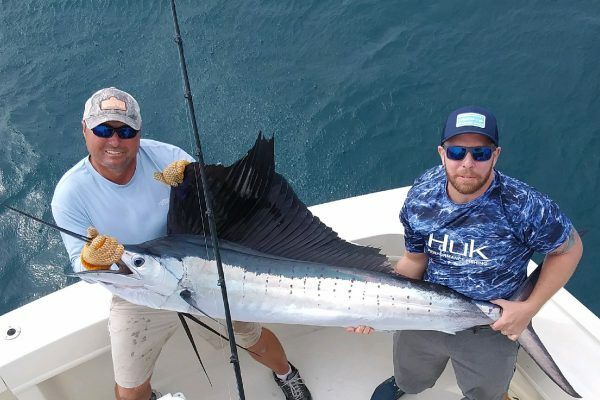 Read our latest posts for the very latest on the Fort Lauderdale fishing conditions and what’s currently jumping out there. 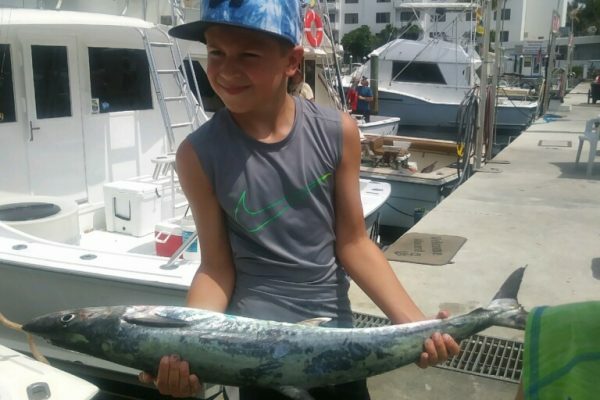 Take a minute to read our informative Ft. Lauderdale fishing articles. 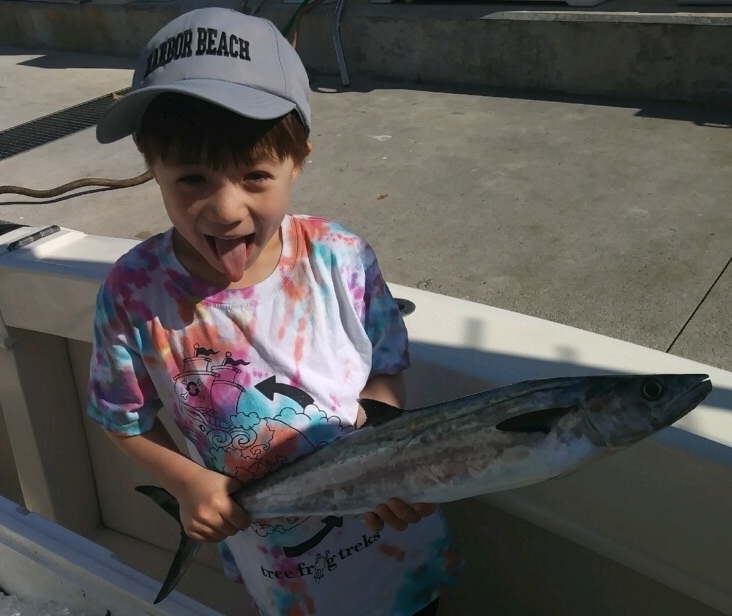 Come on fishing! 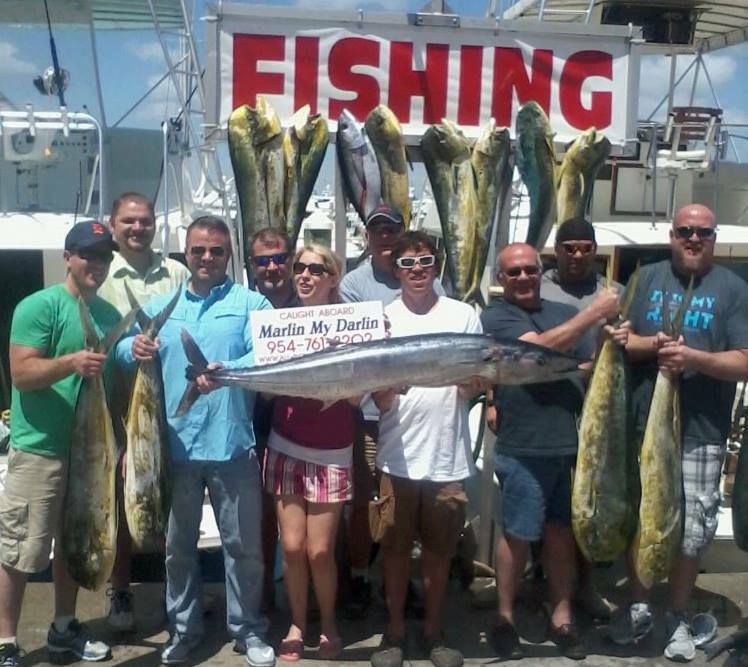 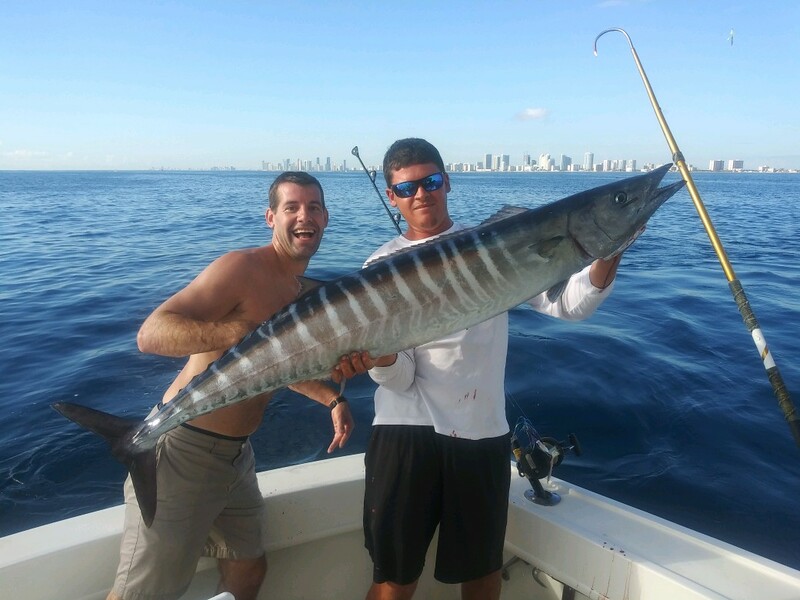 We provide you with a complete Ft. Lauderdale fishing experience. 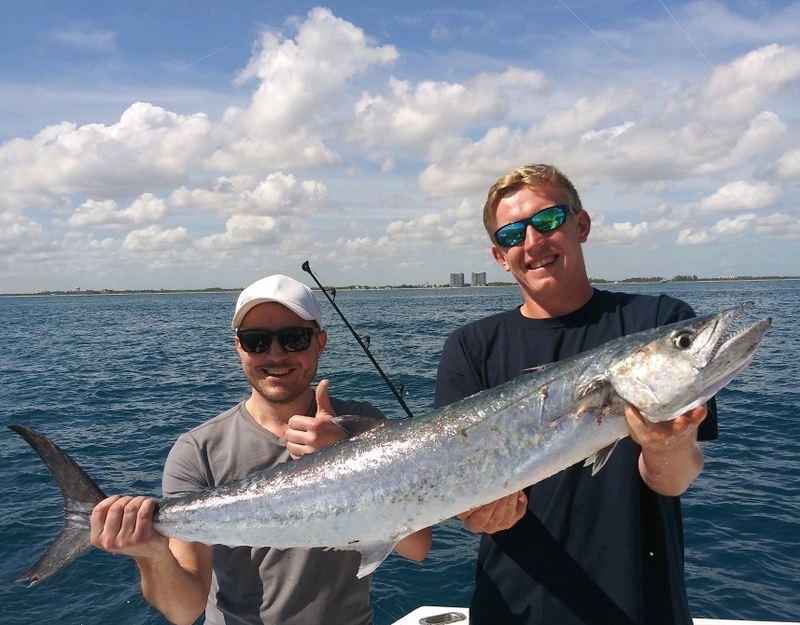 Allow us to introduce you to the rewards that Ft. Lauderdale fishing has to offer. 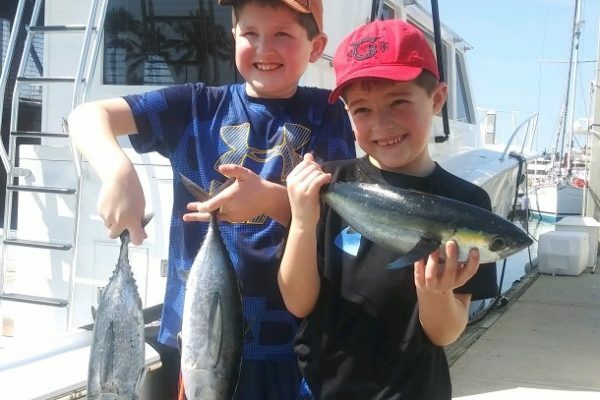 Plus, read our FAQs for Commonly Asked Questions about our company and fishing services and what you can experience on the water. 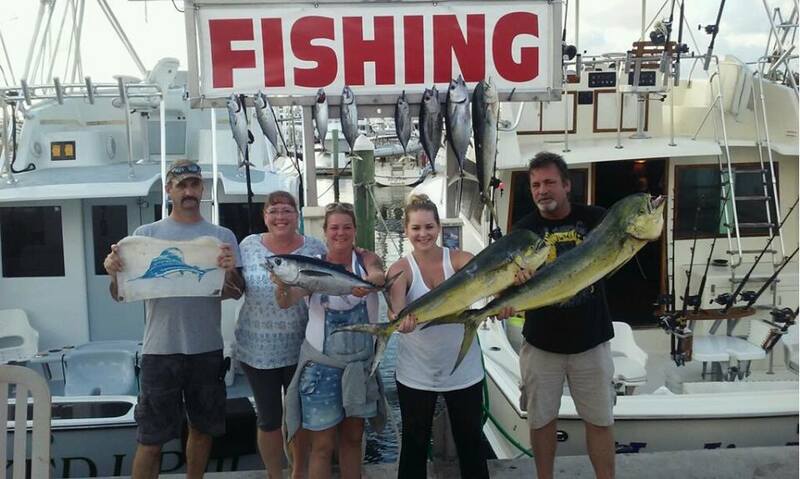 Please call us directly at 954-761-8202 or fill out our Deep Sea Charter Request. 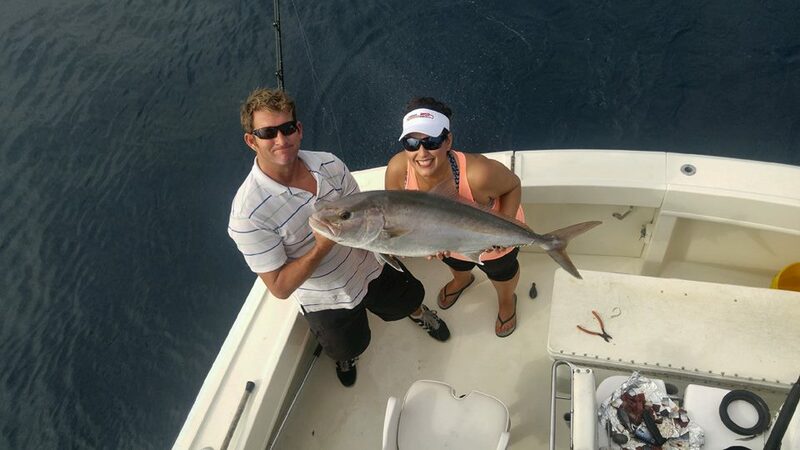 Enjoy our Fort Lauderdale fishing reports, frequently updated and fully detailed. 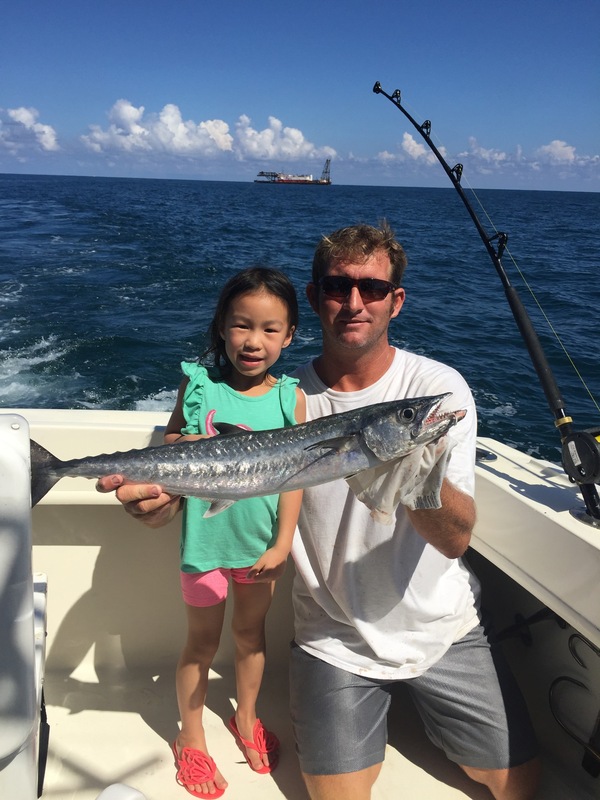 Covering fishing in Fort Lauderdale and surrounding waters. 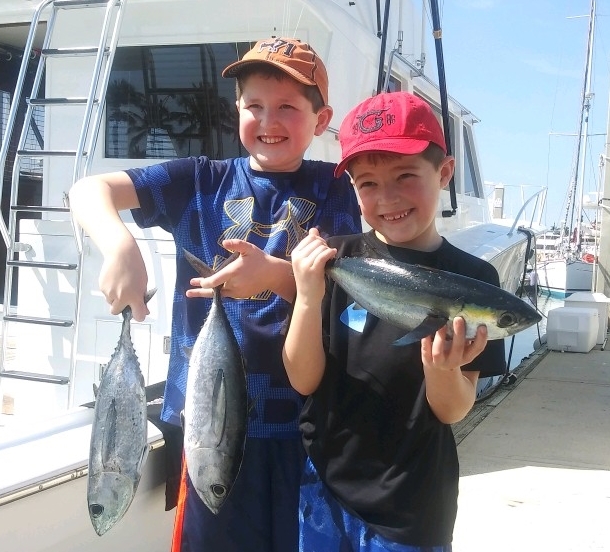 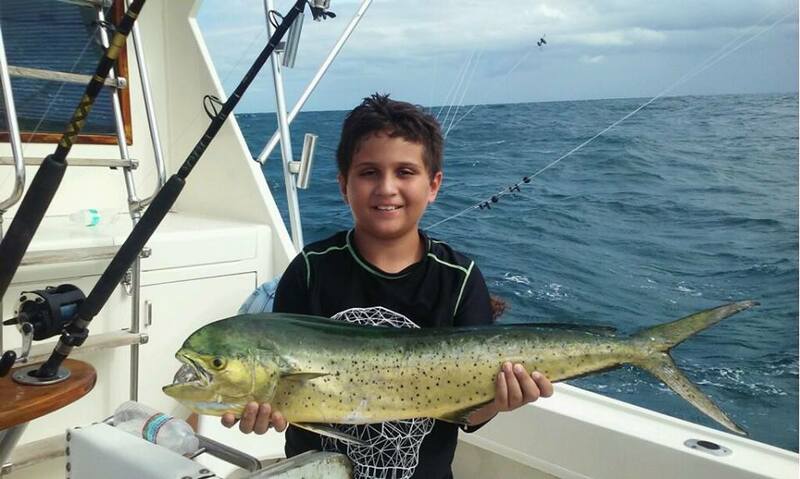 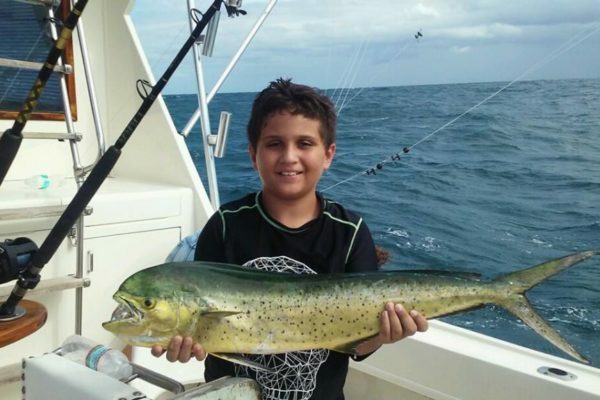 Learn more about the most popular South Florida Fishing Charters, Bait Options, Typical Catch, etc. 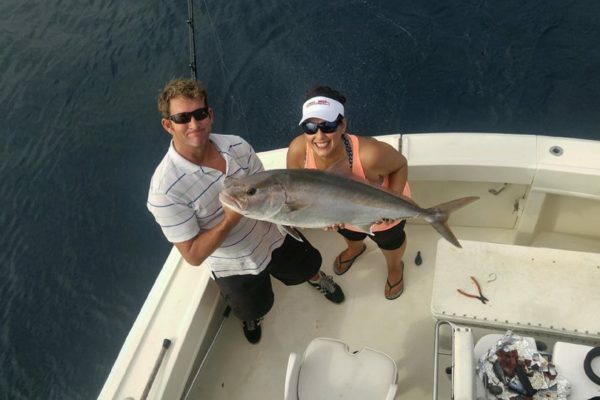 Enjoy our Fort Lauderdale fishing forecasts, frequently updated and fully detailed. 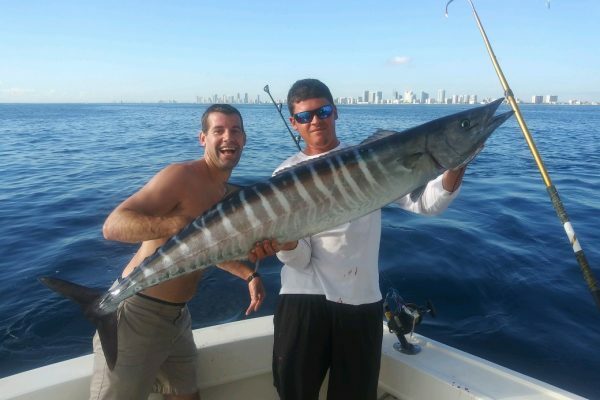 Covering fishing in Fort Lauderdale and surrounding waters.